In addition to quality Site Furnishings and Architectural Planters, OCC Outdoors now offers hospitality bellman’s carts and hospitality coat and garment racks — all made in the USA. Our hospitality product line in includes Bellman’s Carts, Coat and Hat Racks, Garment Racks and Facility Maintenance products. 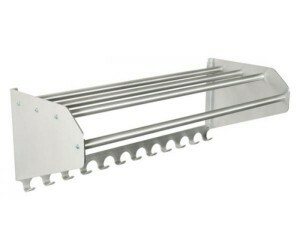 18” wide satin aluminum rack comes with 3 chrome-plated double hooks. The 36” wide satin aluminum rack comes with 6 chrome-plated double hooks. Both are made in the USA with 70% recycled material content and each model comes with steel ball tips to prevent damage to garments. Coat and hat racks in four widths: 36”, 48”. 60” & 72” all made with durable, lightweight corrosion resistant Satin Aluminum that are easily assembled and include mounting hardware. These racks are attractive enough to be used outside the closet walls and are made in the USA with over 70% recycled material content. 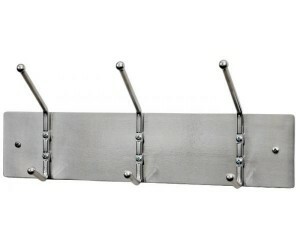 For added versatility the racks are also available with garment hooks. When you think of a bellman’s cart, you think durability. OCCOutdoors’ racks have structural elbows at the bottom of the unit to increase stability and for added durability, chrome plated hanger bars. The exception is the Stainless Steel units, which have a Stainless Steel hanger bar. 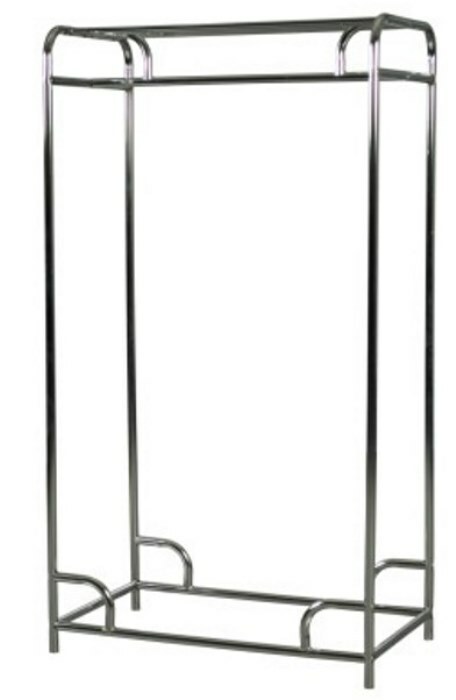 Our Double- and Single-Bar Garment Racks are available in 3 sizes; 36”, 48”, 60” and three finishes: Grey Gloss, Chrome Plated, and for added durability, Stainless Steel. All units have a top shelf for additional storage. A Boot Rack option (black only) is available for all sizes, as well as optional casters to create an easy to move rack. Visit the links below to find the perfect bellman cart or hospitality coat/garment rack!